Good morning everyone! 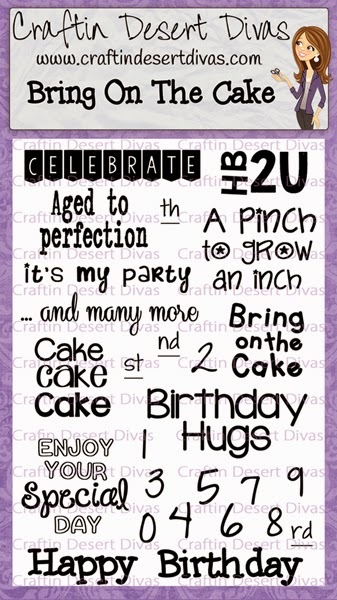 Today is my turn to share with you my project on the Craftin' Desert Divas blog. I wanted to make this for the longest time. The first time I saw this sentiment the first thing that popped into my head was wine! 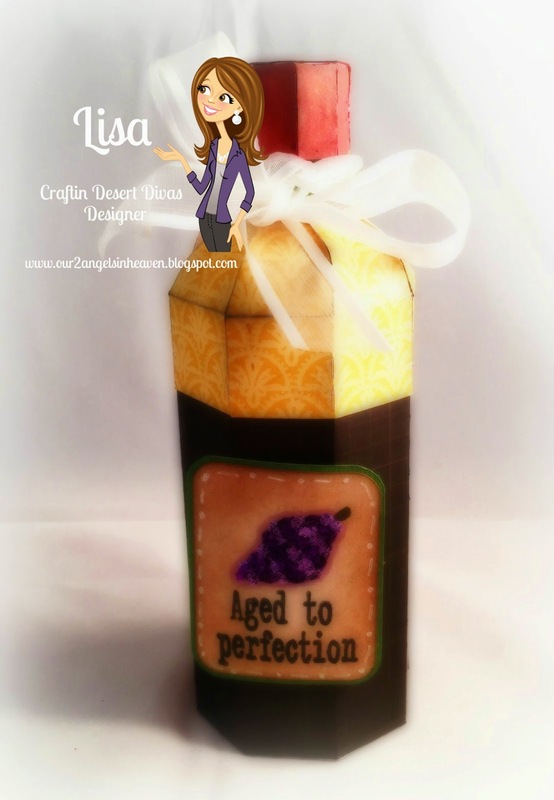 lol So I made this wine shaped gift box and the Aged to Perfection sentiment from Bring on the Cake which you can find HERE. 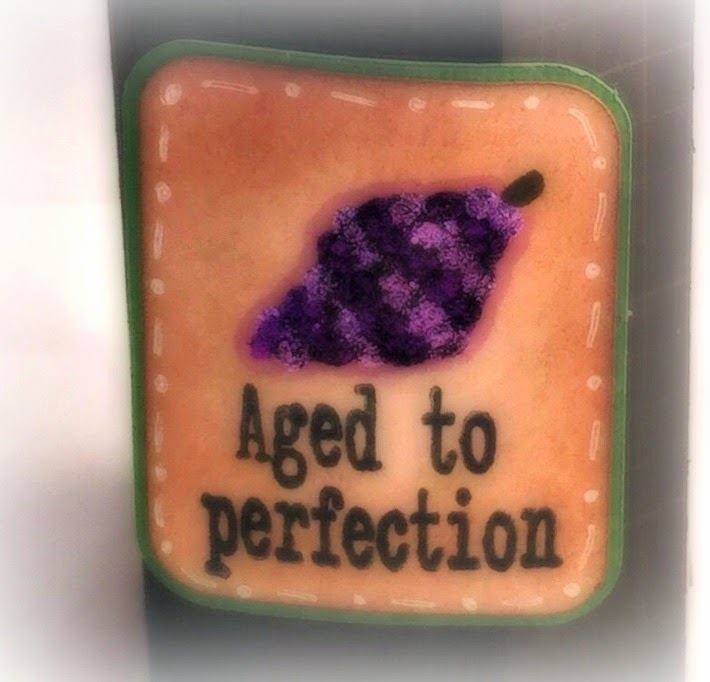 I used two different colored Stickles to make the grapes above the sentiment on the label. To add some shading I used my Spectrum Noir markers. You can add anything really to the inside of this gift box, but a little bottle of wine would fit perfectly. Here is a close-up of the sentiment. Here is a picture of the complete stamp set. Isn't it a wonderful set for birthday cards?? And truthfully there are several different occasions you could use this set for. Just a super fun set to have. Have a wonderful day! Happy Crafting! Awesome project! It turned out beautiful!